Philanthropists have used private foundations for more than a century to support charitable causes, but the recent increase in the number of private foundations has been nothing short of astonishing—from 36,800 in 1996 to more than 87,000 in 2013. In addition to providing tax benefits, a foundation can help donors engage family members, focus grantmaking, and, potentially gain visibility for the family or a favorite cause. But private foundations have significant drawbacks, ranging from overhead to succession problems. Giving should be satisfying and enjoyable, despite the seriousness of the purpose. Yet using a private foundation as a vehicle for giving also can become a burden—perhaps more time-consuming and expensive than the size of the foundation warrants. In 2013, 60 percent of family foundations reported assets of less than $1 million, and 53 percent reported total annual grants of $50,000 or less. Are the unavoidable costs of just being a private foundation worth it? Even large family foundations can present problems. Decisions about leadership and the priorities and strategies for grantmaking may be sources of contention, and the myriad details of the grantmaking process and public accountability may be more work than the family anticipated. Over time, a donor’s family may lose interest or be unable to administer the foundation, and new board members may be hard to find. In difficult financial times, a decline in asset values could reduce the amount available for grants and make the costs of maintaining the foundation disproportionately high relative to the funds being granted. Declines in the portfolio also may cause heartburn as board members worry about their fiduciary responsibilities. The mere prospect of the private foundation excise taxes—including an annual tax on a foundation’s net investment income—has caused more than a few sleepless nights for those with stewardship responsibilities for a family foundation. Ditto the public nature of much private foundation information, including the names of substantial donors and the amounts they contribute. How can a family’s charitable work be carried on without these headaches? In many cases, a sensible alternative may be to dissolve a foundation and transfer its assets to a community foundation, such as The New York Community Trust. A community foundation is an aggregate of individual charitable funds. These include donor-advised funds (where the founder of the fund and those they designate may recommend grants) and field-of-interest funds (from which the community foundation’s professional program staff makes grants through a competitive process). Donors may choose whether a fund bears the donor’s name or is anonymous, whether the fund is structured to last in perpetuity, and whether the charitable purpose of the fund is restricted. In any event, the funds maintained by a community foundation benefit from the investment and administrative capabilities of a major institution. In addition, because a community foundation is a public charity, a fund at a community foundation pays no excise taxes, is exempt from private foundation reporting requirements, and operates with minimal administrative costs. That leaves more money for what the donor intended—supporting important work. The New York Community Trust is actually the umbrella name for two organizations: The New York Community Trust, an unincorporated association of wholly charitable trusts, and Community Funds, Inc., a New York not-for-profit corporation. They share a board and staff, and together operate as the community foundation serving metropolitan New York, with branches in Westchester and on Long Island. Both The Trust and Community Funds qualify as organizations to which a private foundation may distribute assets without triggering the termination tax under Section 507(b). A private foundation may terminate its status by transferring its assets to Community Funds or to a component fund in trust with an authorized bank trustee as part of The New York Community Trust. The choice is determined by the private foundation’s board. The two organizations, referred to collectively as The Trust or The New York Community Trust in the balance of this article, provide the same services for grantmaking and administration. Dozens of private foundations have terminated and transferred their assets to The New York Community Trust. With assets of approximately $2.5 billion, The Trust comprises more than 2,000 charitable funds established by individuals, families, private foundations, and businesses, and has provided expert philanthropic stewardship and grantmaking services for more than 90 years. Donors who create private foundations often do so with the expectation that after their deaths, family members will be interested in running the foundation. But that is not always the case. Before setting up a foundation, donors and their advisors should discuss contingency plans for terminating the private foundation under certain circumstances. Because a community foundation is well suited to assume a foundation’s assets and make grants that reflect the founder’s name and philanthropic interests, lawyers increasingly establish private foundations with governing documents that provide from the outset that, upon the occurrence of specified events, the private foundation should (or must) be dissolved or terminated and its assets transferred to a community foundation. Various termination triggers are worth considering: e.g., that there are no more family members on the board, that there are no family members on the board who reside in the New York metropolitan area, or that assets have dropped below a certain level. The following sections examine the rationale for terminating a private foundation created under New York law and transferring its assets to a fund in The New York Community Trust, and explain the mechanics. To Save Time and Money. The boards of many private foundations find that meeting federal and state regulatory requirements drains both human and charitable resources. The basic operating costs of a private foundation can be significant. Minimum requirements include accounting, auditing, and preparation of federal and state reports, plus the need for legal counsel to address governance practices, regulatory changes, and the complex issues under a tax regime that regulates transactions with foundation insiders (“self-dealing”), minimum annual spending requirements, excess holdings of a business enterprise (“excess business holdings”), prudent (i.e., “jeopardizing”) investments, and the acceptable limits of grantmaking (the voluminous “taxable expenditure” rules). Few small foundations can afford paid support, but the unique administrative burdens of some foundations may require costly help—and the attendant legal and practical complexity of having employees, consultants, and an office. In addition, the excise tax on a foundation’s net investment income cuts into the income available to support charity. When the assets of a private foundation are transferred to a fund in The New York Community Trust, the assets become part of a respected permanent institution, sitting alongside funds established not just by Rockefellers and Belmonts, but also by hundreds of others, perhaps not as famous but just as important to the work of the community foundation. Fiduciary responsibility shifts from the foundation’s board to a group of 12 eminent members of the New York community selected for their knowledge of philanthropy and local needs. Administrative responsibility passes to an experienced staff well versed in all aspects of foundation work. A role for family endures, however, not just in the name of the fund (if desired) but also through identification of a field of interest closely associated with the family’s charitable interests and, if the private foundation board desires, an advisory role over grantmaking. To Maximize the Effectiveness of Grantmaking. New York City has tens of thousands of operating charities; new ones are established every year, while others close. Over time, small foundations without staff, and even those with limited staff, can find it difficult to keep abreast of changing community needs and to evaluate new strategies and organizations. Foundations with specific charitable purposes may find their goals have become outdated or unnecessary, requiring a cy pres proceeding (described below). Community foundations can respond to changes as they occur. Donors can rely on the board and staff of the community foundation to ensure their generosity is always used to meet contemporary needs, even when circumstances have changed, while keeping donor intent in mind. Thus, the extensive grantmaking resources and professional expertise of a community foundation can maximize the philanthropic impact of both small and large funds. To Ease Ongoing Contributions. Transferring a private foundation’s assets to a fund in a community foundation also is useful when the donor or his or her family expects to continue to make contributions. As a general rule, a community foundation, as a public charity, offers preferential tax treatment of charitable gifts compared to a private foundation, and greater flexibility as to the kinds of assets contributed and annual distribution required. When the board of a private foundation wants to be relieved of the responsibilities associated with running a foundation by transferring all of its assets to a community foundation, it is necessary to wind down and go out of business. The process for doing this varies from state to state. This section describes how a private foundation organized in New York State, in either corporate or trust form, may transfer assets to a community foundation and dissolve. We use The New York Community Trust as an example. Any transfer of all or substantially all of the assets of a private foundation should be undertaken only on the advice of counsel, and private foundations organized under the laws of a particular state should check procedures with local counsel. Procedures for Dissolution and Transfer of a New York Corporate-form Foundation: A dissolution and transfer of assets by a New York nonprofit corporation is sometimes a complex process, despite improvements made by New York’s Nonprofit Revitalization Act of 2013. Dissolution is accomplished under Article 10 of the Not-for-Profit Corporation Law (or NPCL). By contrast, dissolution of a Delaware nonprofit corporation is simple, requiring a filing of a Certificate of Dissolution with that state’s Department of State after the board and members approve the dissolution and the corporation has paid off liabilities and disposed of assets in accordance with the board’s wind-down decision. If a foundation formed under the NPCL decides to make one or more large grants amounting to all or substantially all of its assets, the position of the Attorney General Charities Bureau is that this disposition is subject to prior approval either by the Attorney General or the county Supreme Court.1 It is possible, therefore, that a foundation that wants to wind down over a period of time will be subjecting itself to two tiers of regulation: one to dispose of “all or substantially all” of its assets, and another to dissolve. So, if a wind-down is in the offing, a New York not-for-profit corporation needs to think carefully about the interplay of two separate regulatory regimes. By folding the entire wind-down into dissolution proceeding, and not attempting to draw it out, it should be possible to keep matters much simpler. Once the Plan is carried out and the dissolving corporation has reached a zero balance, a Certificate of Dissolution is submitted for Charities Bureau approval and then filed with the Secretary of State. sought in the form of a Petition for Approval of the Certificate of Dissolution. It must include the plan of dissolution and any required attachments, such as the corporation’s Certificate of Incorporation and any amendments, copies of any required approvals, and the Certificate of Dissolution. The Petition must confirm that at the time of dissolution the corporation had no assets (beyond the reserve). In addition, the original Certificate of Dissolution and the originals of any required governmental consents must be submitted to the Charities Bureau, as well as a final financial report showing zero assets and liabilities.The Charities Bureau, after reviewing and approving the submission, will place its endorsement on the original Certificate and return it to the corporation or its attorney.The corporation next must seek a Consent to Dissolution from the NYS Department of Taxation and Finance. The Charities Bureau of the New York State Attorney General’s office recommends calling the Tax Department first to confirm the corporation’s tax-exempt status and to determine what the department wants submitted. Typically, this includes Form CT-247 with a copy of the organization’s IRS exemption letter and a letter requesting authorization to dissolve the organization. If the Tax Department concludes the documentation meets the requirements, it will send a Consent to Dissolution. In addition, consent of the Commissioner of Finance of New York City may be required. The original Certificate of Dissolution with the original Department of Taxation and Finance clearance, and the originals of any required governmental or officer consent should be sent (with the required filing fee) to the New York Department of State. The Department will send the filer a receipt indicating the certificate has been filed. The foundation must send a copy of the Department of State receipt to the Charities Bureau, so any further filing or registration requirements with the Charities Bureau will cease. For a foundation formed under the New York not-for-profit corporation law, its Plan of Dissolution must describe with “reasonable certainty” the assets of the corporation and their value. The Plan must state the total amount of the dissolving corporation’s debts and liabilities—both those actually incurred and estimated through completion of the dissolution process. This listing should include legal and accounting fees. If any assets of the dissolving corporation are legally required to be used for a particular purpose, that must be stated. If assets are restricted under the terms of a gift instrument, the gift instrument should be attached to the Plan. The Plan should state that the corporation’s assets, after payment of liabilities, will be distributed as required by any gift instrument or to a tax-exempt charity engaged in substantially similar activities to those of the dissolving corporation. Each recipient organization should be identified by name, and its governing instrument (e.g., the Certificate of Incorporation of Community Funds, Inc., if it is to be a recipient) should be annexed, along with each recipient organization’s most recent financial report and a sworn affidavit by a director or officer stating the purposes of the recipient organization and that it is currently exempt from federal income tax. It is important to work closely with the recipient organization as the dissolution papers are prepared. If any assets are to be distributed to an organization for a legally required purpose, an agreement of the recipient to apply the assets for those purposes only must be included. New York’s substantive law of cy pres is found in the Estates, Powers & Trusts Law (or EPTL), but a cy pres proceeding may or may not be in the Surrogate’s Court. If a trust requiring cy pres in order to terminate was created under a Will (i.e., a testamentary trust), the proceeding must be brought in the Surrogate’s Court, and procedure will be under the Surrogate’s Court Procedure Act and applicable provisions of the Civil Practice Law & Rules (or CPLR). If an inter vivos trust is involved, the proceeding may be brought in either the Surrogate’s Court or the Supreme Court. A proceeding in the Supreme Court would apply the EPTL cy pres standard and the procedural standards of the CPLR, with particular refer-ence to Article 77 (Proceeding Relating to Express Trust). Most practitioners prefer to file cy pres proceedings in the Surrogate’s Court because of its greater experience in handling trust matters. A proceeding involving termination of a testamentary trust will commonly include a request for the court to revoke the trustees’ letters testamentary effective upon the distribution of the remaining trust assets. One consideration of a trustee upon the termination of a trust is usually to obtain as full a discharge of fiduciary liabilities as possible. If a trust termination can be accomplished only through a cy pres proceeding, the trustees might include a formal accounting and seek judicial discharge as part of their cy pres petition. Even when cy pres is not required, trustees sometimes seek a judicial discharge before turning all the trust’s assets over to the terminating beneficiary. However, these days, it is probably more common for trustees to present an informal accounting (e.g., a compendium of account statements and Form 990-PFs) and seek a statement of no objection from the Attorney General. This trend toward informal accountings is true for a variety of reasons, including the expense of a fully scheduled accounting and also the likelihood that incomplete records make it impossible to prepare a fully scheduled accounting since inception. But there is much complexity under the surface of those four principal steps. For example, if the corporation has members as well as directors, the members also must approve the Plan before it can be filed. The statute includes detailed rules about voting requirements for board and membership approval. If approval of a governmental agency (e.g., the State Department of Health or Department of Education) was required for a corporation to be formed in the first place due to the nature of its purpose or activities, the approval of that agency must be obtained before the Plan of Dissolution is offered to the Charities Bureau. The Plan of Dissolution must comply with specific statutory requirements as to form. For ease of processing, the Plan also should follow the Charities Bureau’s own guidelines—some of which may be communicated during the review process. When filed with the Charities Bureau, the Plan must be accompanied by a Verified Petition—that is, a petition sworn under penalties of perjury—as well as a form for the Charities Bureau to record its approval. Although a dissolving foundation may elect to file the Verified Petition and the Plan with the county Supreme Court on notice to the Attorney General, and without the approval of that office annexed, the Charities Bureau asks that applicants submit their draft papers to the Charities Bureau beforehand so any issues with the submission may be addressed. If court approval is sought, the dissolving organization also should provide the court with a proposed order approving the Plan. After approval of the Certificate of Dissolution is in hand, the consent of the New York State Department of Taxation and Finance must be obtained (in effect, to confirm that the dissolving foundation has no outstanding sales, income or other tax obligations). In New York City, a similar tax approval also may be required. At this point, the Certificate of Dissolution, with approvals and consents annexed, is ready to be filed with the New York Department of State, which, in turn, will provide a filing receipt. Just as the filing of a Certificate of Incorporation brings a corporation into existence, the filing of a Certificate of Dissolution formally dissolves it. The Charities Bureau asks that the dissolved organization provide it with a copy of the Certificate of Dissolution filing receipt in order to terminate an organization’s registration and reporting obligations to that office. Procedures for Termination and Transfer of a New York Trust-Form Foundation. 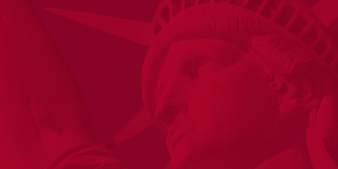 The procedure for a transfer qualifying under IRC Section 507(b) by a New York charitable trust (whether established inter vivos or under the will of a New York decedent) will depend on the degree of discretion the trustees have over the charitable distribution of principal and income of the trust. Complete Discretion Over Principal and Income. If the trustees have complete discretion over principal, terminating the trust is simply a matter of exercising that discretion and making a grant to the selected beneficiary, such as a fund at a community foundation. The dissolution and “all or substantially all the assets” rules applicable to corporations and described above do not apply, and no third-party approval ordinarily should be required. A trust simply terminates by operation of law when it no longer has any assets. However, despite the lack of statutory approvals of the type found under the NPCL, it may be advisable to present a contemplated trust termination arrangement to the Charities Bureau to bring to the surface any questions or issues the Bureau might have. Explain the known facts relating to creation of the trust and its purpose. Show how the purposes of the trust can be better carried on by a fund at a community foundation. Attach a form of the proposed agreement with the community foundation, laying out the terms that will govern the proposed recipient fund. A cy pres proceeding of this type generally requires notice to interested parties, including creditors, the designated recipient of the remaining assets, the Attorney General, and the creator of the trust, if living. The matter is usually presented in advance to the Charities Bureau so it can state its views and, ideally, provide a statement of no objection. In order for a private foundation’s status to be deemed terminated for federal tax purposes, it must file a final IRS Form 990-PF (filed after the dissolution or termination has taken effect) showing a zero balance. If the foundation was structured as a corporation, a copy of the Certificate of Dissolution and the Department of State filing receipt should be attached. The final distributions must be made to Code Section 170(b)(1)(A) public charities (other than so-called gross receipts charities and supporting organizations) in order to avoid the Section 507 tax discussed above. As noted earlier, that should not be an issue when the recipient is a fund that is part of a community foundation. In planning for its dissolution, the foundation will want to consider that donations from a single donor that exceed two percent of the recipient charity’s total support over a four-year period are not included in the recipient’s public support calculation (see Treas. Reg. § 1.170A-9(f) (6)). As a result, large donations by a single donor—the private foundation—could affect the recipient’s status as a public charity. This is sometimes called “tipping.” Tipping should not be an issue for The New York Community Trust because it receives such broad public support. On the other hand, if the grantee is a relatively small organization, tipping could be an issue. Another consideration for a dissolving or terminating foundation is that liquidating its securities and other appreciated assets prior to transferring them to a public charity will trigger gain (unless there are offsetting losses). That, in turn, will increase the amount of excise tax on the foundation’s net investment income. A simple work-around for this issue may be to transfer the appreciated assets directly to the recipient organization. The New York Community Trust has extensive experience with accepting appreciated assets. Donors and their families often are surprised by the complexities of dissolving a private foundation. To reduce disappointment when family members no longer want responsibility for running a family foundation, as well as in anticipation of a possible time when neither family nor the donor’s trusted friends or counselors remain on the board, donors and their lawyers should discuss contingency plans well ahead of time. A community foundation is a natural fit to take over a foundation’s assets and mission, and The Trust has sample forms of agreement for the types of funds that terminating foundations frequently wish to establish. For new organizations being created where the founders are aware that termination may eventually be desirable, and for those that want to amend existing governance documents to make the path for termination easier, we also have examples of the kinds of clauses one might incorporate. These provisions are designed to make a terminating transfer to The Trust convenient at some future point, if or when that becomes the desired course of action. We urge organizations and their attorneys to contact us if they would like to meet and discuss the future of a private foundation. Procedures for the Dissolution of a Not-For-Profit Corporation Without Assets (October 6, 2014), www.charitiesnys.com/pdfs/dissolution_without_assets.pdf. Voluntary Dissolution of a Not-For-Profit Corporation with Assets to Distribute (October 6, 2014), www.charitiesnys.com/pdfs/dissolution_with_assets.pdf. A Guide to Sales and Other Dispositions of Assets Pursuant to Not-for-Profit Corporation law §§ 510-511 and Religious Corporations Law § 12. (September 24, 2014), www.charitiesnys.com/pdfs/sales_and_other_ dispositions_of_assets.pdf. NPCL § 1004(a): Consent of NYS Department of Taxation. NPCL § 1004(b): Consent of NYC Commissioner of Finance. © The New York Community Trust 2015. Written by Jane L. Wilton, general counsel, The New York Community Trust, with thanks to John Sare of Patterson Belknap Webb & Tyler LLP for his assistance. This material was developed for the use of professionals by The New York Community Trust. This position is not uncontroversial; some practitioners believe NPCL §510 properly applies only to the disposition of assets for consideration. Nonetheless, counsel advising a private foundation with assets and seeking to make a substantial charitable grant should be prepared to comply with NPCL §510. Similarly, the Charities Bureau has adopted interpretations of “substantially all” with which practitioners do not uniformly agree. In addition to reviewing the guidance cited at the end of this article, counsel to foundation that is contemplating a wind-down may wish to speak directly with the Charities Bureau for guidance based on specific situations. For sample forms and a discussion of a no-assets termination of a not-for-profit corporation, see Procedures for the Dissolution of a Not-For-Profit Corporation Without Assets (October 6, 2014), http://www.charitiesnys.com/pdfs/dissolution_without_assets.pdf. Please call Jane L. Wilton, general counsel at The New York Community Trust, for forms: (212) 686-2563.